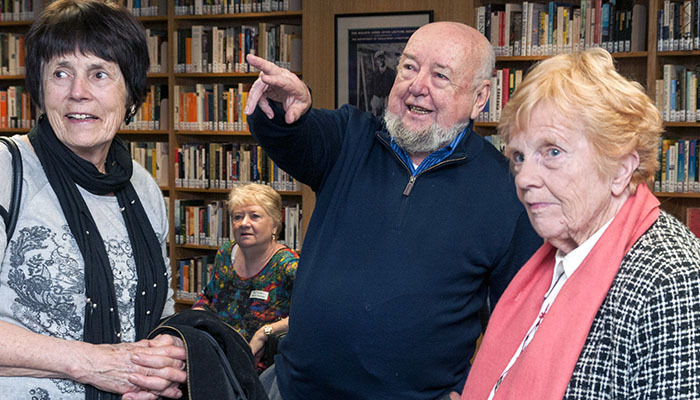 SMSA and our resident author, Booker Prize-winner Tom Keneally, would like to extend an open invitation for you to visit the Tom Keneally Centre. All are welcome! 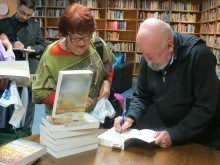 Forming acclaimed author Thomas Keneally’s living legacy to Australia, the Tom Keneally Centre is devoted to Australian literature and history. It houses his personal collection of books and memorabillia, and is Tom’s office in the city. Sign up for a Writing Master-Class taught by Tom Keneally, or book in to hear your favourite authors speak in an intimate and cosy setting. 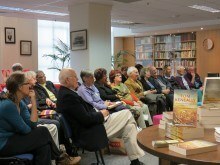 Past speakers have included Frank Moorhouse, Tara Moss, Tim Bowden, Stephanie Dowrick and more. 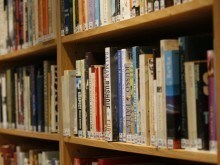 SMSA members can now borrow up to two books from the Tom Keneally Centre collection for two weeks at a time in addition to their normal SMSA Library borrowing quota. 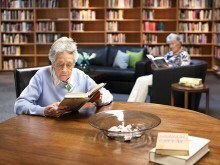 The beautiful Tom Keneally Centre is now open for venue hire. It’s the perfect location for your next literary event, product launch or other special event. For more information, email venue.hire@smsa.org.au.